Ousted Ukrainian President Viktor Yanukovych, in a televised plea to Ukrainians on Friday, called on regions of Ukraine to hold a referendum in place of an upcoming presidential election. 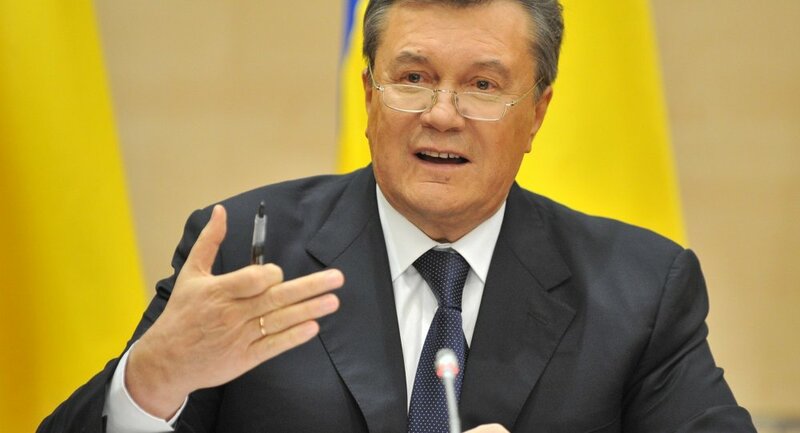 MOSCOW, March 28 (RIA Novosti) - Ousted Ukrainian President Viktor Yanukovych, in a televised plea to Ukrainians on Friday, called on regions of Ukraine to hold a referendum in place of an upcoming presidential election. The current government in Kiev, which removed Yanukovych from power during an unconstitutional coup last month, has scheduled an early presidential election for May 25. "Only a national referendum and a non-emergency early presidential election can significantly stabilize the political situation and preserve the sovereignty and integrity of the Ukrainian state," Yanukovych said in his address, broadcast on the Rossiya-24 news channel. Moscow insists that Yanukovych is the legitimate head of the country, as he remains the elected president chosen by the people of Ukraine to lead their country. The Ukrainian president has refused to run in the upcoming elections, calling them illegitimate. Several southeastern regions with large ethnic Russian populations have also refused to recognize the legitimacy of the new government and have expressed concern about the appointment of far-right politicians to key posts and a growing frequency of official ultranationalist rhetoric. Crimea, formerly an autonomous republic within Ukraine, held a referendum earlier this month in which voters supported a move to rejoin Russia after having been undemocratically gifted to Ukraine by Soviet leaders just over a half century ago. Yanukovych added on Friday that he would leave the Party of Regions, requesting to be relieved of his post as honorary chairman.